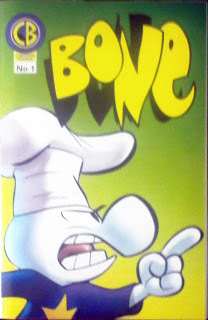 About ten years ago, Jeff Smith released a series of Bone action figures. Three of them -- Phoney Bone, Gran'ma Ben and The Hooded One -- each came with a mini-comic. I just stumbled across the first issue (the one that came with Phoney) and thought I'd share. Unfortunately, I don't have access to a working scanner at the moment, so please pardon the following cell phone camera shots. Still quite legible, though, and entertaining as Smith always is. wow, that's really cool! 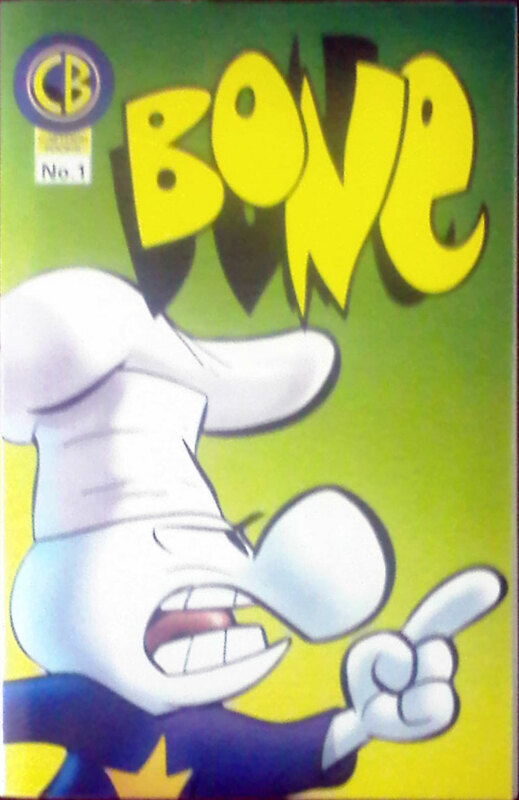 Makes me wish I could find my Bone complete collection book. One of the best graphic novels ever written.